Porcupines are rodents with a coat of sharp spines, or quills, that defend them from predators. Porcupines are the fourth largest rodent and are not to be confused with hedgehogs. Most porcupines are about 25-36 inches (60-90 cm) long, with a 8-10 inch (20-25 cm) long tail. Weighing between 12-35 pounds (5-16 kg), they are rounded, large and slow. Porcupines come in various shades of brown, grey, and the unusual white and virtually all species of porcupine have approximately 30,000 quills. Porcupines causing problems in your lawn or garden? 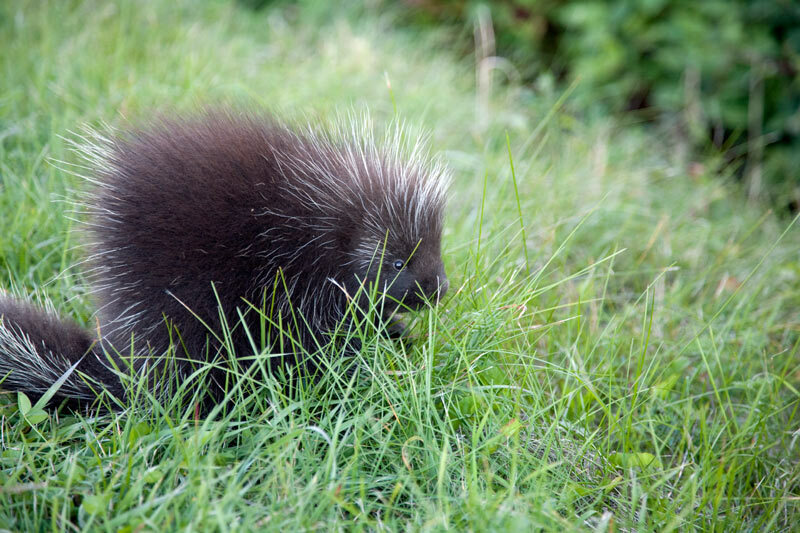 Porcupines can try to make their home on or around your property and can cause a lot of damage to your lawn or garden. Some may move in under your home and or other buildings. Nature’s Defense is the most powerful form of Porcupine Control available today and your natural solution that is easy to use and guaranteed to work. Now you can use the same research proven formula that professionals use as part of their animal control business. 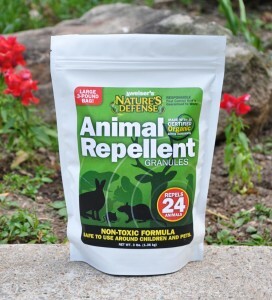 Controlling moles is easy by simply sprinkling Nature’s Defense organic formula around the area you want to protect; your porcupine problem will be solved quickly and easily. Sprinkle Nature’s Defense granular animal repellent directly over and around the areas that the porcupines are causing damage too. Apply Nature’s Defense twice a week for the first two weeks, then once a week for maintenance.